A FFunction self-initiated project. 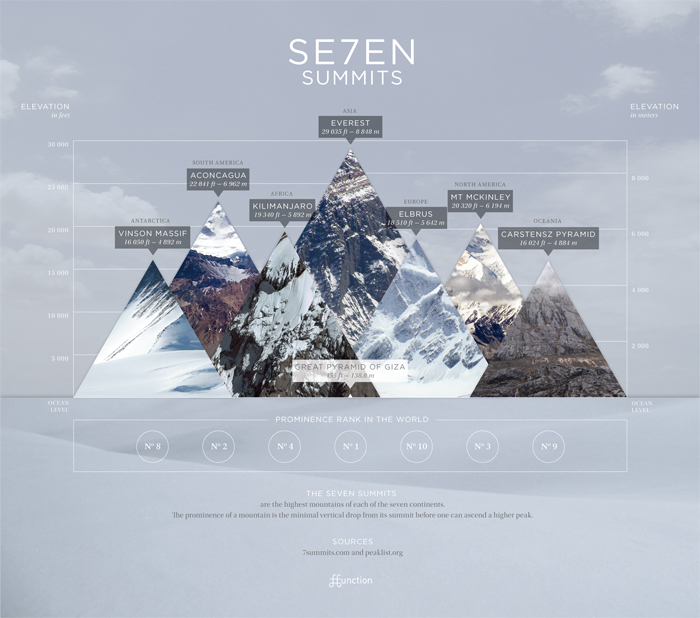 The 7 summits are the highest mountains of each of the seven continents. We experimented with photo collage to create an infographic that is both a graph and a picture at the same time.